Cameron seems to have dodged what should be the main attraction: a debate between the Prime Minister and the Leader of the Opposition. This hasn't come as a surprise. 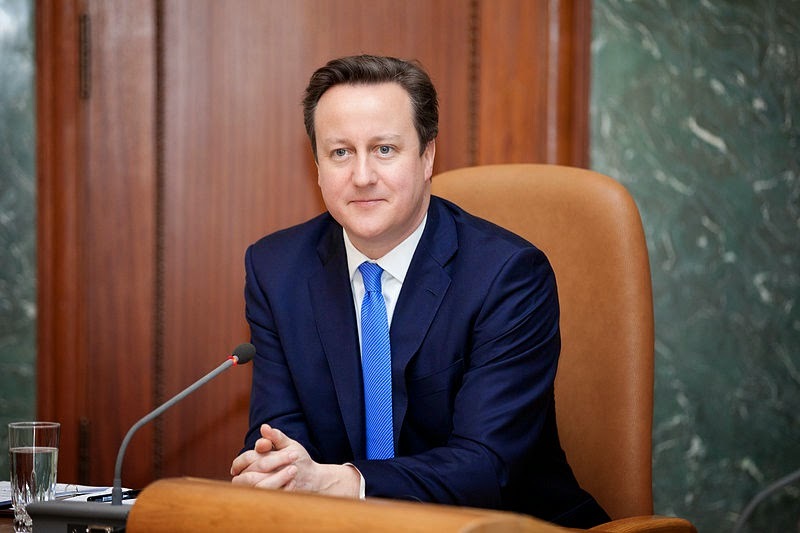 When, during Prime Minister’s Questions, Ed Miliband asked directly whether he would take part in a head to head debate, Cameron merely said “we’re debating now”. Perhaps we need compulsory debates between the two main party leaders. 9.4 million watched the debates last time round and they are extremely important in engaging people in politics, particularly young people and first time voters. Cameron even had the cheek to say that the broadcasters had caused “chaos” over the debates, despite the fact he was the one who opposed the original proposals and forced them to change the line-up and format. His comments are a blatant attempt to undermine and discredit what should be democratic and informative debates between the potential future leaders of this country. So, what has Cameron committed to? Downing Street has said that the Prime Minister is only prepared to take part in one 90-minute debate between seven party leaders, as long as it takes place before March 30. A debate between seven people is not going to be great for the public, especially if it only lasts 90 minutes. In fact, it means that each candidate will only be able to talk for just less than 13 minutes each (not including time for questions). 13 minutes is not enough time to press any particular candidate on any particular issue. This is perfect for Cameron who, presumably, will be wanting to be “absolutely clear” about everything as well as making sure he “answers the question very specifically”, meaning we are certain to get an idea of his policies and stance on every issue. We can also expect to see a few dozen mentions of the Conservatives’ “long term economic plan”. But Cameron’s failure to commit to meaningful debates demonstrates a wider, most likely intentional, failure from the Conservatives. They’re blatantly focusing on the older demographic and they’re making very little attempt to engage a younger audience. Young people are more likely to watch the debates than older demographics who know already that they are voting Conservative. Cameron is merely trying to avoid damage to his campaign as he knows addressing the concerns of young people is a major weak point of his. Youth unemployment is remaining steady, not falling like it is for other age groups. As well as this, Miliband will be able to mention his plan to cut university fees, to which Cameron has no answer and will look like the ‘bad guy’ when he openly tells the audience that lowering fees is a bad idea. Cameron clearly thinks that he will come out of the debates worse off. This is probably a fair assumption. However, it is only contributing to a wider problem. Successful televised debates are more likely to engage young voters – something which the Tories don’t seem to want to do.